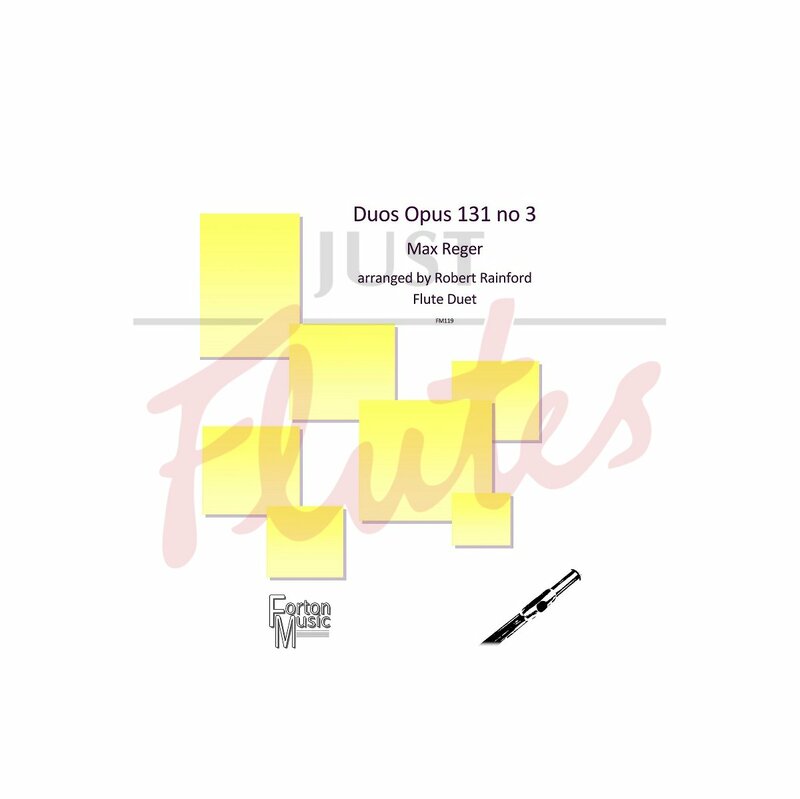 Two duets by Reger, arranged for two flutes. The first movement is a compete canon, with the second player entering after half a bar. 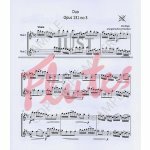 The second duet has a similar feel but is more fugal, with the second part being more independant of the first. 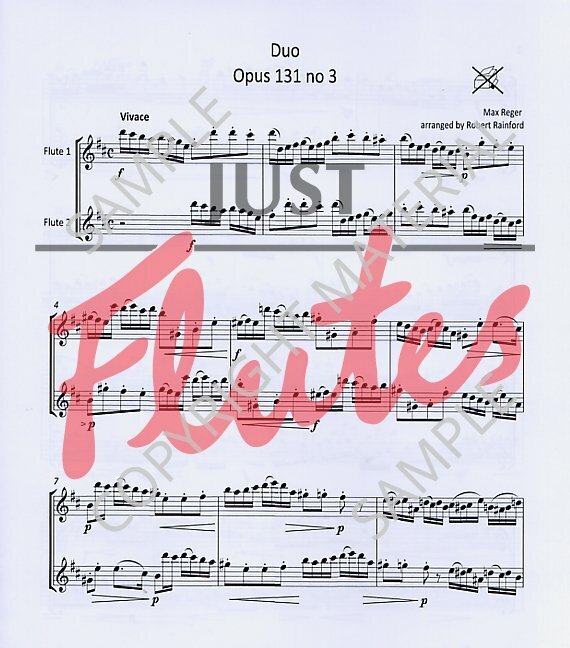 This contrapuntal texture gives the music a Baroque feel, but the wide ranging keys, multiple time changes and dramatic dynamics add a more Romantic dimension to the pieces. Fairly short pieces (about 40 bars and about 50 bars) but marked at Vivace and Allegro con spirito, these are around grade7-8 standard.